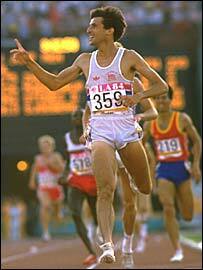 “Lord Coe has won his greatest ever race by bringing the 2012 Olympics to London. He may have won two Olympic gold medals and smashed 12 world records, but Coe’s achievement in leading London to a stunning victory eclipses them all. ‘This is almost entirely on a different planet to winning the gold medals,’ Coe admitted. His jubilation is understandable as it is his leadership which has been pivotal in helping London claim sport’s biggest prize. Now, like many people in the UK I think this is terrific. And I certainly do not want to doubt Seb Coe’s work here. A great leadership job. I’d just like to note that it takes an amazing team effort to do things like this … and then an even more amazing team will be needed to deliver the Games itself! A very good staff gives you a very good team, and a very good team gives you outstanding results. Here’s how to build a Million Dollar Round Table “Top of the Table” (TOT) staff. The first step in building your team is finding the right people. The key to choosing the best employee is to focus on the person, not the resume. For example, we have an employee, Lisa, who did not have a resume at all when we hired her. We hired her away from a company that was going out of business. We offered her the job because we knew what kind of person she was and how she worked. Over the years, we’d seen her demonstrate that she had a heart of gold and the desire to do anything it took to help a client or teammate. Those qualities made her a good fit for our team. If the spirit and ability is there, procedures and processes can be taught. The old saying, “One bad apple spoils the bunch,” can prove true in an office environment. One negative person or nonteam player can seriously damage a team’s morale. One way to combat this is to get to know the candidate for the job as well as possible. Our office is small enough that we can have a job candidate meet with all the current team members.